Ferrari aficionados can adore their favorite red supercars on their table top with the new bespoke Ferrari Opus themed console table. 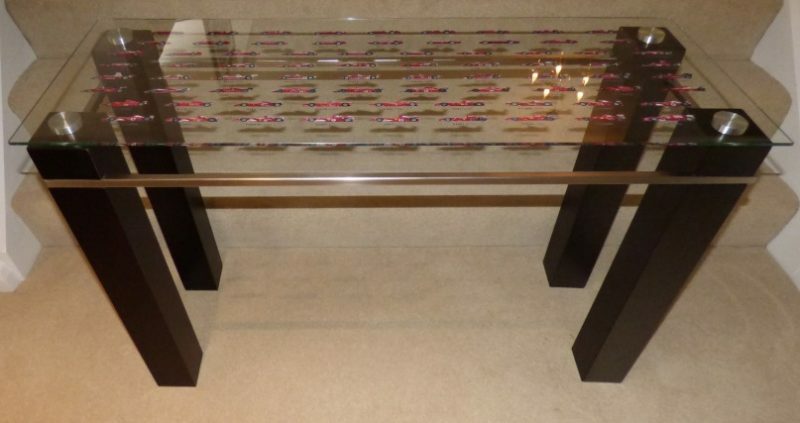 An ideal piece of furniture to dress up the den of a die-hard Ferrari fan, the hand made table features a glass table top adorned with Ferrari single seater cars from The Official Ferrari Opus. The makers use the latest technology to paint the images directly onto the glass. The images are further sealed to ensure they remain perfect and vivid. 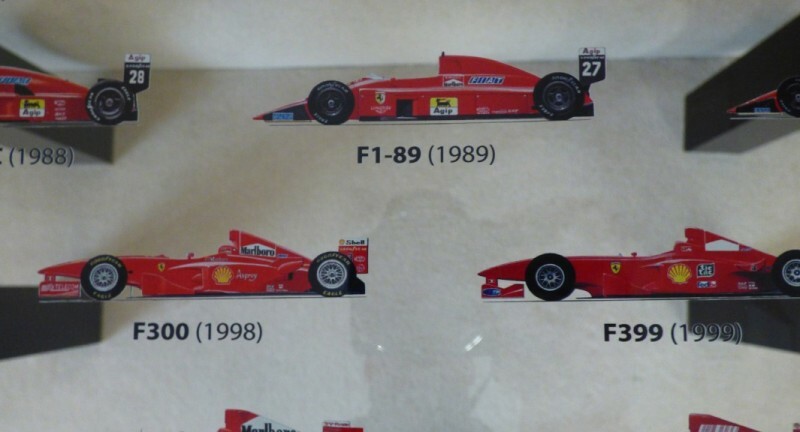 The Ferrari-topped table measures Height 78 cm, Width 122 cm, Depth 44 cm with a 6 mm thick glass. Available for $5,000, only 99 pieces of the limited edition Ferrari Opus Console Table will be offered worldwide. While the legs in the images features a dark stain finish, the table can also be customized to stand on metal legs as well as made in the desired dimensions and finish.